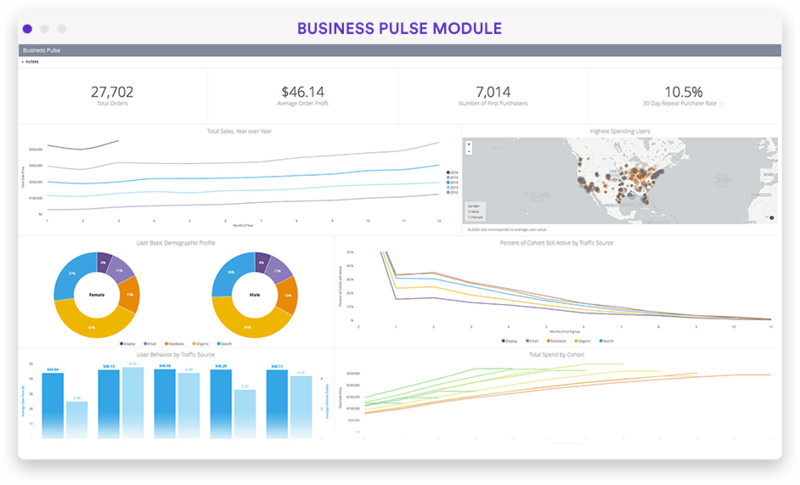 Use data-driven insights from your customers to improve experience and increase sales. Understand every aspect of your retail & eCommerce business, from how web page activities impact conversion rates to finding friction points in the purchasing process. Give your teams the info they need to take action and drive purchases. Looker provides ecommerce business intelligence solutions that provide valuable insights and allow you to gain a better understanding of your promotional cycles. Highlight breakdowns across demand stages. Find pain points on the path to purchase and, ultimately, maximize profits. How can you stay on top of trends if you have no data about what’s trending? 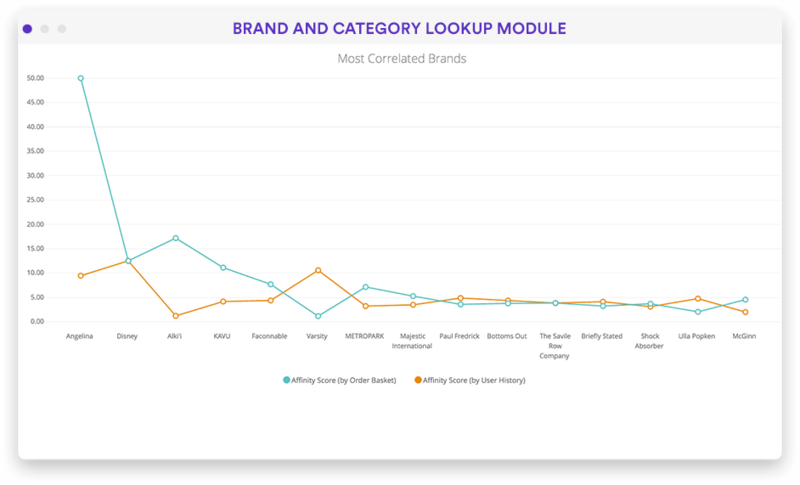 Use ecommerce data analytics to learn more about brand performance by category, analyze product availability, identify gaps in supply chain efficiency, and decrease unnecessary expenditures. Learn more about your customers so that you can give them more of what they want and increase your revenue in the process. With analytics software for retail and ecommerce businesses, you can track customer behavior, identify which customers are the most valuable, and gain more insight into shopping cart behavior. Retail businesses now have access to more data than ever before thanks to ecommerce data analytics. 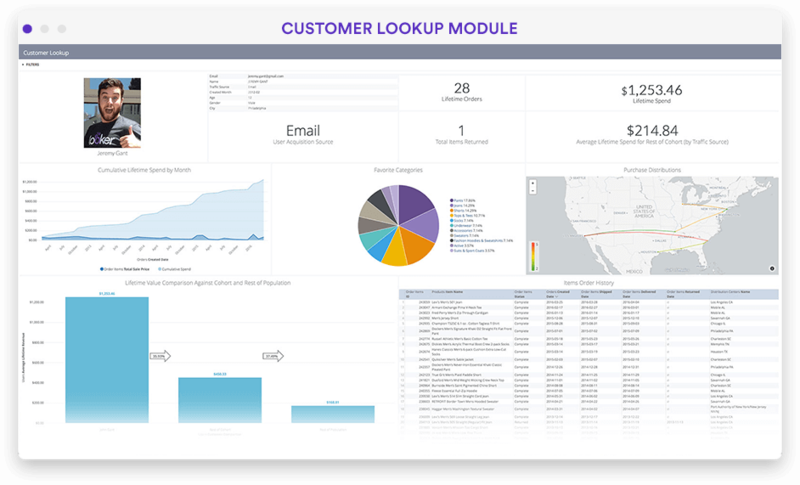 Looker comes equipped with powerful tools that help discover profitable insights and create opportunities to grow your business. "Data is so important to Bonobos because we are a digitally native company with a 360 view of our customers." "Enabling a framework to get the right data to the right people is hugely important for any big decision we're going to make. And that's why a tool like Looker is so useful." "What is most important to me is the end product: how do I actually use it to answer the questions, and make informed decisions to move the business forward?" "The Looker platform helps us stay lean and maintain a smaller and more nimble team. With that, we are better able to serve our customers." Looker Blocks are pre-built pieces of code that seamlessly integrate - if you need more specific data points for your retail analytics, Looker Blocks can be customized to fit the exact needs of your business. Looker Blocks serve as a starting point for all your data needs, like optimized SQL patterns, holistic web analytics or report selectors with real-time data capabilities--simply do more with our retail business analytics software.